Very confusing numbers in a recent Wall Street Journal graph noting that the number of job openings being posted are way up (green line) … up to the highest level in 14 years. That’s good news right? 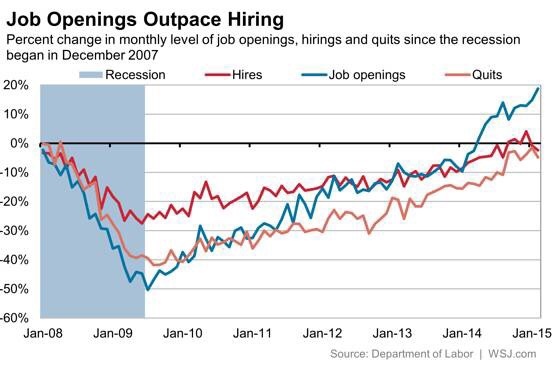 Unfortunately a look at the red line shows the number of hiring. 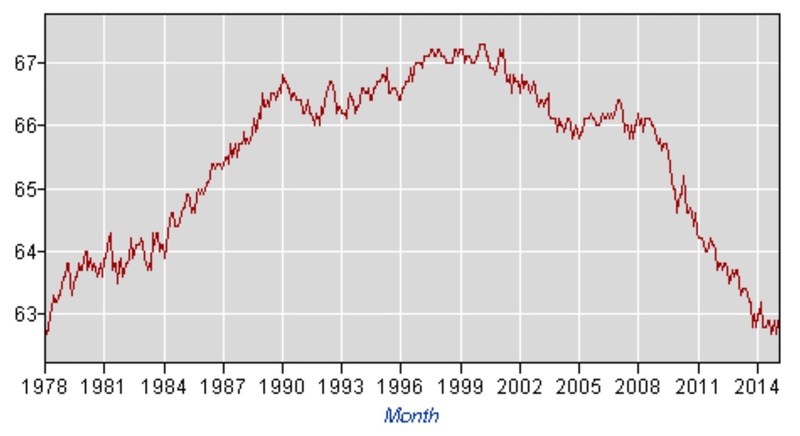 Hmm, that trend has moved down, as have the number of Americans who have quit their jobs … helping to create the lowest workforce participation rate in 37 years according to the Bureau of Labor Statistics. EDIT: Added some CNBC video and “my” audio below.